Will this be the end of IBS for good? The FDA recently approved a new drug, Viberzi, for the treatment of irritable bowel syndrome (IBS). This new drug is being applauded because about 30 percent of the patients in the clinical trials experienced improvement in their symptoms about half of the time they took the drug. But is this necessarily cause for celebration? Let’s look a little closer. First of all, the drug was only effective half of the time…meaning the other half of the time it was completely bloody ineffective. And although 30 percent of the IBS sufferers reported improvement with the drug, 20 percent of the participants taking a placebo reported improvement! In addition, Viberzi is only designed for IBS patients whose predominant symptom is diarrhea. So this drug only applies to about one-third of IBS sufferers. The most concerning aspect of Viberzi is its potential side effects. Common side effects are nausea, constipation and abdominal pain—which happen to be common IBS symptoms! Plus you run the risk of developing pancreatitis—an inflammation where your pancreatic enzymes actually start digesting your pancreas. Pancreatitis can be fatal if it becomes chronic. But hey, at least your diarrhea will go away half of the time. IBS has been labeled a “functional disorder” meaning there is no disease process present. Well, what IS present with IBS is gas, bloating, abdominal pain, constipation and/or diarrhea—all signs that your digestion is not being carried out like it should be. So if you help your body accomplish digestion the way it’s supposed to, you can feel tremendous relief! People who have a typical modern diet are most definitely eating very little fiber, truckloads of processed foods and meals that are next-to-impossible for their bodies to digest efficiently. If your system cannot break down your foods like it's supposed to, it's just a matter of time before your body begins to revolt. Help your digestion along by eating simpler meals. Pair meats OR starches (not both) with vegetables and a green salad, while avoiding the protein-starch combination in your meals. Proteins and starches require opposing digestive enzymes and when eaten together these catalysts can weaken each other in the stomach and impair digestion. Also probiotics and digestive enzyme supplements have been shown to be a big help in smoothing out digestion. Probiotics provide a helpful dose of friendly bacteria which breaks down starches and fiber, thereby helping to reduce gas and bloating. Many people have food allergies or sensitivities and don’t even know it...all they know is that they’re suffering with very frequent pain, gas, bloating and diarrhea (typical IBS symptoms). True food allergies are easier to detect because you usually get symptoms quickly after eating the offending food, and oftentimes suffer a rash or other reaction. But food sensitivities are sneakier. You won’t necessary get symptoms right away—it might take you up to 72 hours to feel the effects, and at that point, you’re clueless as to what may have triggered your attack. Be sure to get appropriate testing for both allergies and sensitivities if you suspect these may be affecting you. Stress most assuredly can compromise your digestion. Your mind and GI tract are connected through a series of impulse pathways called the "brain-gut axis" and what affects one affects the other. Do what you need to do to relieve stress—keeping in mind the best form of stress relief is regular exercise! Just be sure to get your doctor’s OK before beginning an exercise program. If you are on any medications that ruin your digestion, it’s time to talk to your doctor about alternatives. And it’s quite possible that if you improve your diet like I described above, you may not need as much medication to begin with! I speak with great authority about IBS…because I used to suffer from it. I suffered from IBS for 15 years, but have been completely symptom-free for the last 24 years solely due to my diet, improved digestion and probiotic supplementation. I will never forget all of the horrible suffering I endured with IBS, and trust me, life is very sweet indeed when you can finally close the door on it. Come on over and see how great you can feel. Although the title of today’s article might raise a few eyebrows, it’s meant to bring awareness to a serious situation that is a leading contributing factor to our ill states of health. Let’s say there’s a 45 year-old woman who’s under chronic stress. She craves carbs and she’s putting on weight. She has heartburn all the time and she’s having trouble sleeping. Her chronic stress is causing her adrenal glands to crank out the hormone cortisol, and this is triggering her carb cravings and resulting weight gain. Plus stress and high cortisol levels are causing imbalances in her other hormones and this is affecting her sleep. And since stress takes energy away from digestion, that’s causing her heartburn. He prescribes Nexium for her heartburn. He gives her Crestor to lower her cholesterol. He suggests Ambien to help her sleep. He cautions her about her blood pressure, glucose level and weight gain and tells her to go on a diet and exercise. And guess what—the underlying cause of ALL of her problems (STRESS) remains unaddressed. This woman is on three medications, still craving carbs and putting on weight (because she’s still stressed), the Crestor is giving her muscle weakness so she can’t exercise, she’s constipated because of the Nexium and has memory loss and anxiety because of the Ambien. This is a perfect example of a failure of modern medicine. Modern medicine focuses on anything BUT health--instead its focus is on the treatment of symptoms, sickness and disease. They’re two entirely different things! Health is NOT merely the absence of disease--it’s a state of balance where your body is working like it's supposed to! Plus it’s important to realize that all of your body’s systems are connected and affect each other. Looking at the woman in my example: Her emotional stress (the nervous system) affected her adrenal glands and hormones (the endocrine system) which in turn triggered high blood pressure (the cardiovascular system) and heartburn (the digestive system). So to just “pick and choose” symptoms without looking at the entire picture can cause many an over-medicated, chronically ill individual. Don’t be afraid to ask your doctor questions or get second opinions. Ask about medications side effects or get on the internet and check them out yourself. Ask about trying lower, safer doses of drugs you may be on, or natural alternatives to medications (such as fish oil for high blood pressure or arthritis). If your doctor refuses to answer your questions, find another who will. Do whatever works for you—even some deep breathing 3-4 times a day can help. Plus you can’t beat regular exercise when it comes to stress relief. I know it’s not easy to change old habits, but even small steps in the right direction can make a big difference in your health! If you’re a soda lover, try swapping one of your sodas for water or club soda with a splash of lemon or lime. Try pan-seared meats instead of deep-frying. There are many delicious spice mixes out there. Reach for protein snacks like nuts, cheese, yogurt or a hard-boiled egg instead of chips or crackers. They’ll help even out your blood sugar. Try to work in one green vegetable every day—even a small tossed salad! Switch out your bagel or donut for oatmeal or scrambled eggs for breakfast. You’ll stay fuller longer and be better nourished. If you need more ideas or want some great recipes, check out Great Taste No Pain. Stress and the Standard American Diet can be murder on your gut flora, where the majority of your immune system resides! Without the full functioning power of your immune system, it’s just a matter of time before sickness or disease will strike. So it’s important to help repopulate your supply of friendly inhabitants and support better immune health with a daily probiotic formula like Super Shield. See how much better you can feel when you focus on creating health! In honor of February being Heart Disease Awareness Month, let’s look at some dangerous heart disease myths as well as effective ways to keep our #1 killer far away from you. Fact: People as young as children and adolescents can begin building plaque in their arteries. Myth #2: Heart disease runs in my family, so I’m doomed. Fact: A healthy diet, regular exercise and the right nutritional support can go a long way in preventing heart disease, regardless of your family history. Just because something may be in your genes does not mean those genes will be “activated.” Healthy lifestyle habits can do a lot to counteract genetic tendencies. Myth #3: My cholesterol isn’t high, so I don’t have to worry about heart disease. Fact: Cholesterol is not the primary culprit behind plaque buildup—it’s inflammation in your arteries that triggers the process. And cholesterol is only one of the “ingredients” in plaque build-up to begin with. Plaque is also made of fatty deposits—especially trans-fats—plus fibrous proteins, smooth muscle cells and other wastes in your blood. So even if your cholesterol is normal you could still have inflammation present and plaque building up. Myth #4: I’ve been smoking for many years so it won’t make a difference if I quit. Fact: The benefits of quitting smoking start the very second you quit, no matter how long you have smoked. After only one year after quitting, your heart attack risk will have dropped by 50 percent, and in 10 years, it will be the same as if you never smoked. Myth #5: My blood pressure is controlled with medication, so my heart disease risk is minimal. Fact: High blood pressure is only one of the factors that stirs up inflammation in your arteries and contributes to atherosclerosis. Even if your blood pressure is controlled, free radicals or excess glucose or homocysteine in your bloodstream can also raise your heart disease risk. There is so much you can do to help minimize your risk of heart disease. In addition to the obvious eat lots of fresh fruits, vegetables, poultry, fish and healthy fats, it’s arguably MORE important to avoid sugars and starchy carbs. Sugars and starchy carbs such as breads, pasta, rice and crackers (even if they’re whole grain) can create surges of inflammation-stirring glucose in your bloodstream. While whole grain options are a bit more nutritious than highly refined varieties, they still turn to glucose upon digestion—and increase your heart disease risk. Plus here’s something you won’t hear every day--saturated fat (from natural sources) IS GOOD FOR YOU in moderation. Your body needs saturated fat—it’s actually the type of fat that your heart draws upon during times of stress! Plus it’s vital for your nervous system health too. Moderation is the key, and that means a 3-4 oz. serving of red meat (preferably organic), scrambled eggs for breakfast or butter on your toast or vegetables. About 30 percent of your daily calories should come from fats, with an equal breakdown between saturated, monounsaturated and polyunsaturated fats. Exercise lowers your blood pressure, strengthens your heart and improves blood flow and oxygen delivery to all of your cells. Don’t be an excuse-maker when it comes to exercise. Even a walk around the block can be helpful. Get your doctor’s OK and get moving toward better heart health. Two key nutrients for cardiovascular support are Omega-3 essential fatty acids and vitamin B12. Omega-3 EFAs have been medically proven to help lower blood pressure, they can help counteract inflammation in your arteries and they help reduce the stickiness in your platelets and curb fibrinogens (which contribute to plaque). Vitamin B12 converts homocysteine (a by-product of protein digestion) to a harmless amino acid. If homocysteine is left unchecked, it can cause inflammation in your blood vessels and raise your heart disease risk. 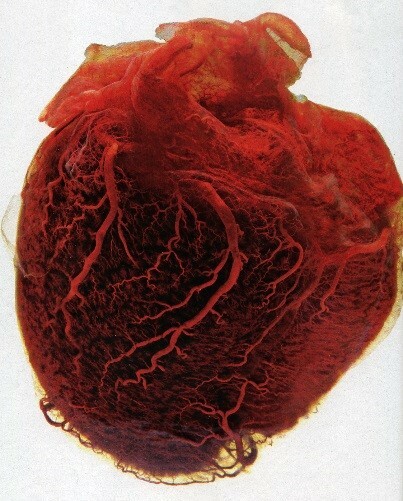 Calcium buildup and arterial stiffness are two primary signals of heart disease. A recent study has shown that adults who sleep fewer than five hours a night have 50 percent more calcium in their coronary arteries than those who slept seven hours. Plus study participants who reported poor sleep quality also had 20 percent more calcium buildup in their arteries, compared to those who slept well. Seven to nine hours of sleep a night is ideal, so make sure you’re getting what you need. The more you concentrate on real, whole foods, the more you naturally eliminate trans-fats from your world. Stay far away from margarine, vegetable shortenings and any products that contain hydrogenated or partially hydrogenated oils. Also, look for trans-fats in sneaky places. Some very popular brand-name vitamins even contain hydrogenated palm oil! Read labels for everything that goes into your body. Come and hear me speak at the Tech Garden! I’m very excited to announce that I will be speaking at the Tech Garden in Syracuse, NY next Wednesday, February 17, 2016. The event, Healthy Living for Entrepreneurs and Business Professionals, is being sponsored by Gaber Marketing in Syracuse and will focus on how the demanding schedules of professionals and entrepreneurs can impact their health, and provide strategies for helping to support better health. The event starts at 11:00 am EST with a personal meet and greet, where I will be signing copies of Great Taste No Pain, and then heart-healthy chili will be served in recognition of February being heart health month. My presentation will run from noon to 1:00 pm and explain the health-wrecking effects of common challenges faced by business people every day, many of which may be surprising to downright shocking to many. I will also provide suggestions to counteract these harmful effects and get on the road to optimal health. Following the presentation at 1:00 pm I will be available for questions and individual discussion. Please come and say hello to me—I look forward to seeing you! The Zika virus has been blamed for causing birth defects in about 4,000 children in Brazil and the mainstream media is stoking the fires and instilling panic around the world. From the 1940’s until about October 2015, the Zika virus was pretty benign. In about one out of five cases it would cause only mild flu-like symptoms. In the other four out of five incidents, it would cause no problems at all. But now out of the clear blue it’s being blamed for causing 4,000 birth defects only in Brazil—nowhere else in the world. Yet many of the women and children affected by birth defects in Brazil tested negative for the Zika virus. If all of this doesn’t add up to you, congratulations—you have a properly working brain. But what’s going on in Brazil? That’s the next logical question—why are so many babies being born with birth defects in Brazil? 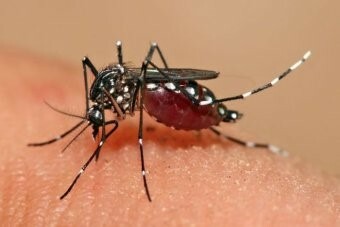 Genetically engineered (GE) mosquitoes designed to combat a condition called dengue fever--a painful, debilitating mosquito-borne disease mainly seen in tropical areas--have been manufactured in Brazil since 2012 by Oxitec (a company heavily funded by Bill Gates). These Frankenbugs (all males) are supposed to reduce the population of the Aedes aegypti mosquito (the type of mosquito that carries both the dengue fever and the Zika virus) by altering the mosquitos’ natural reproductive cycle. Once the Frankenbugs fall in love with a (normal) female mosquito, their offspring won’t mature past the larvae stage…and therefore their population will eventually plummet. Mosquito control at its best! Because this perfect impregnation-larvae dying scenario will only carry out like it should if the antibiotic tetracycline is not present in the process. If tetracycline is around, the Frankenlarvae might not die off like they should. Well, guess what country is third in the world for its use of tetracycline in food animals? That may help to explain why a town in Brazil has reported continuing elevated levels of dengue fever since the GE mosquitoes have been introduced! The bottom line is this: GE bugs are no different than GE foods. Little or no safety testing is done, the consequences are largely unknown, there’s always a price to pay when you try to outsmart Nature, and humans are guinea pigs for these creations. Studies have supported that the herbicide atrazine is associated with increased risk of birth defects including fetal growth restriction and small head circumference. In addition, the herbicide metolachlor has been shown in studies to affect cell growth and cell division. Atrazine and metolachlor are both heavily used in Brazil. As a matter of fact, Brazil uses more pesticides and herbicides than any other nation in the world. In late 2014, the Brazilian minister of health announced that a new TdaP shot would be mandatory for all expectant mothers starting in 2015. There’s just one problem with that—the new TdaP vaccine has never been tested for safety in pregnant women. Even the manufacturers of influenza and TdaP vaccines state that human toxicity and fertility studies are inadequate and warn that the influenza and TdaP vaccines should be given to a pregnant woman only if clearly necessary. Looking at the timeline, since it was declared mandatory in in late 2014, all mothers with birth defect babies born in October 2015 (when the explosion started) and on received this newly formulated vaccine while pregnant. Many areas of Brazil are overcome with poverty, inadequate nutrition, and poor hygiene and sanitation—all factors that impair immune functioning and invite widespread disease to come knocking. Don’t panic--embrace Nature’s disease protection instead! Viruses and bacteria have been around since the dawn of time, my friend, and they’re not going away any time soon. So instead of getting caught up in mainstream media’s latest panic-instilling game, you can instead stack the deck in your favor and help your body resist sickness and disease. By pampering Nature’s expertly-designed disease protection—your IMMUNE SYSTEM. Healthy lifestyle habits is number one. Having a healthy diet, keeping alcohol consumption under control, quitting smoking, engaging in regular exercise and getting enough sleep all help nurture your immune system health. Immune-supportive nutrients like vitamin B12, vitamin D and probiotics all support your immune system’s efforts and help keep it strong and sharp. De-stress as much as possible. Stress causes harmful changes to your gut bacteria, which houses the majority of your immune system. Deep breathing, meditation, prayer, yoga and even taking a brisk walk all have been shown to be helpful. Carefully weigh the benefits vs. dangers of medications. All medications can damage your gut flora and/or depress your immune system functioning, especially antibiotics, acid reducers, steroids, antidepressants, vaccines, pain relievers and statins. Talk to your doctor about alternatives, and if he or she is unwilling to discuss the matter with you, find another doctor who will.